Keep checking back for Spring 2019 Puppy Groom and Play event! We want to help set the stage for a successful lifetime of grooming for your puppy. 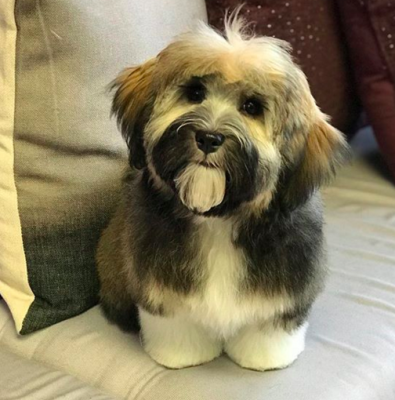 You and your family are welcome to come to the salon and let your puppy experience the atmosphere in the postive way of play. Come socalize with other parents and puppies, share your triumphs and troubles in a safe enviroment. We will help you pick out the right brushes and show secret techniques for you to use at home. Also, we will be on hand to answer any question about your puppies special or specific fur needs. Best of all ITS FREE to attend. Just drop in at the appropriate posted time for your puppy. All puppies must have their 2nd set of vaccinations to enter the salon. Groom and Play is open to dogs between the ages of 4 and 6 months. Thank you to all our wonderful clients for helping up grow and take new steps forward. This beautiful young lady brings a little light into the salon, her wonderful personality and friendly gaze melts out hearts. 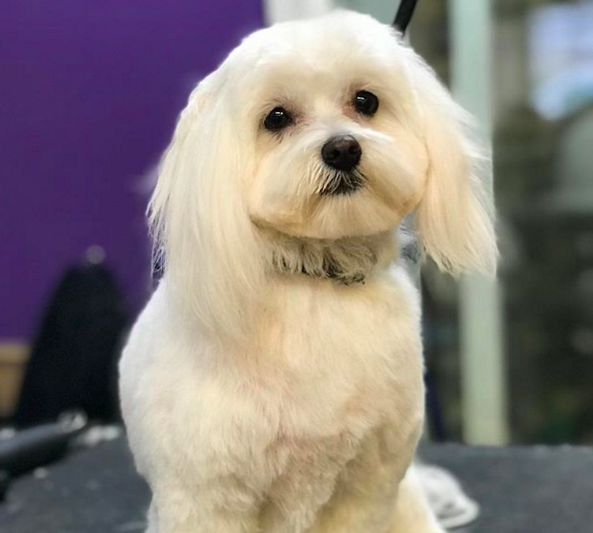 Ellie is a Maltese that gets a handscissor trim from our talented groomer Lizzie.